Hi lovelies! Hope you had a great weekend! 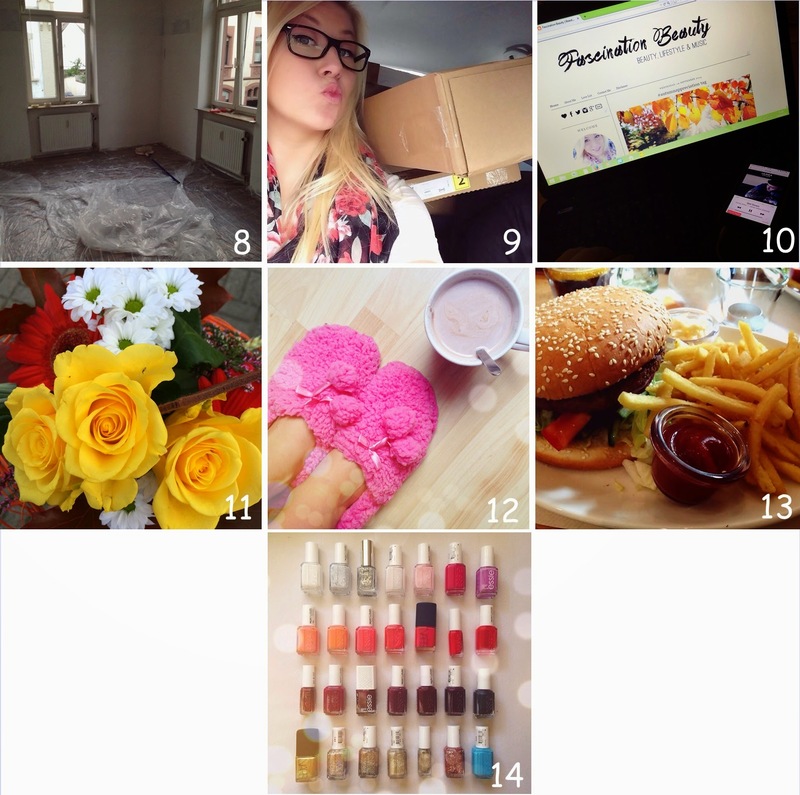 As some of you might know I started the #100HappyDays challenge with a few other lovely bloggers. Hazel, Carolin and Tess for example and even though I'm only two weeks in to the challenge I feel like it already made a difference. I feel like I'm much more aware of the things that make me happy and actually take a moment to appreciate them. Day 8: My apartment and I may looked like a complete mess this day but I was extremely happy to renovate my own place. Day 9: Two cars full of furniture and five people was all it took to make my apartment feel like home. Can you tell I was excited? Day 10: Blogging is my new passion and music soothes my soul so bringing the two together make for a perfect evening! Day 11: As soon as I got back from renovating my apartment I went to see my great grandma in hospital and brought her these flowers. She loved them! Day 12: A hot chocolate and fluffy slippers kind of morning. I was feeling a bit under the weather so I stayed in bed, watched some of my favourite TV shows and drank some hot chocolate. Made me feel a lot better! Day 13: I went out for lunch with one of my closest friends, hadn't seen her since the holiday. Oh and I had a burger. Happy me!